They were once held back by their pricy, ineffective batteries. That era’s over. 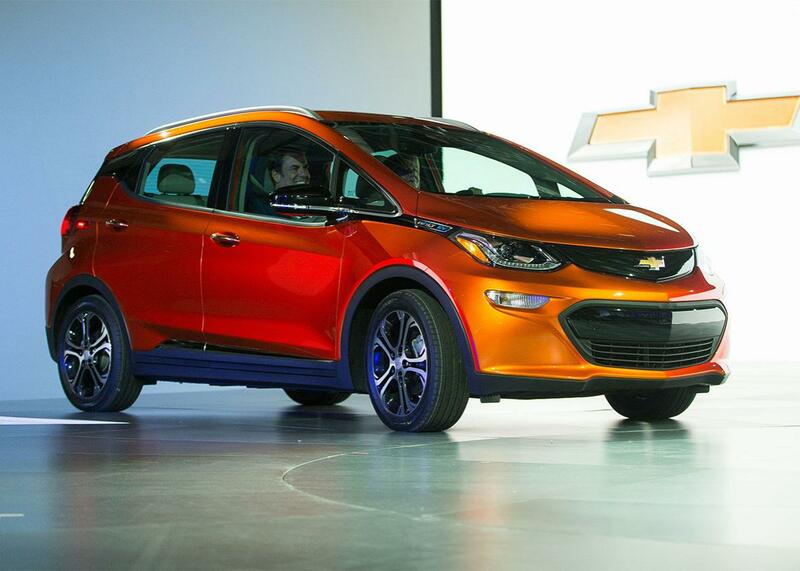 The Chevy Bolt is a real electric car whose battery pack will have a range of 200 miles. First generations of technology are always clunky, kludgy, and way too expensive. TVs were once the size of refrigerators. Personal computers had giant cathode ray tubes and virtually no computing power. And so it went for the first generation of modern electric cars. Car batteries have been around for a while. But the types of batteries that can pack sufficient energy to drive a car on its own are relatively new; until a decade or so ago, engineers had never given them their full devotion, nor did manufacturers produce them in large volumes. As a result, these batteries and the cars that contained them suffered the unfortunate combination of being both not very good and very expensive. Chevrolet’s plug-in hybrid Volt was exceedingly mock able when it debuted in 2010. It cost about $35,000, and its 400-pound lithium-ion battery pack, with a capacity of 16 kilowatt-hours, could only move a car about 35 miles (under perfect conditions!). The company never shared with Volt owners how much the battery cost, but we know that in 2012, lithium-ion battery packs cost between $500 and $600 per kilowatt-hour. So a 16 kWh pack like the Volt’s could have easily cost $8,000. And that expense inhibited the Volt’s success. It’s one thing if a battery-powered car doesn’t take you that far, since you can run on gas after the battery gives out. It’s another when the inclusion of a not-very-effective battery boosts the price of the vehicle so much that no one wants to buy it. So for several years, electric cars suffered in comparison with electronic products like mobile phones and computers, which benefited from Moore’s law—the notion that the processing power of computers doubles every two years. That’s why we’ve seen incredible simultaneous improvements in both price and quality for electronic devices like phones and laptops. Every version is both better and cheaper than the previous. There is no Moore’s law for battery storage—the power of batteries doesn’t magically double every two years. And yet a funny thing has happened over the past six years. Rather than huge leaps and bounds, there has been slow, incremental improvement in the ability to manufacture lithium-ion batteries that can pack more power in the same space. Companies are doing a better job bargaining for supplies, rationalizing manufacturing processes, improving the chemistry, and generally doing the sorts of things that good engineers do. And so the performance of lithium-ion batteries has been improving by 5 or 8 or 10 percent each year. Because of the pace of incremental change, and because product cycles of cars are slower than they are for cellphones, an innovation revolution in electric cars has always felt distant. And yet we’re now finally seeing the beginnings of one. General Motors is preparing to launch the Chevrolet Bolt, and its first letter isn’t its only difference from the Volt. Instead of being a plug-in hybrid, it’s a real electric car. The Volt had an expensive battery pack and could go only about 30 miles on it. The Bolt has an expensive battery pack but will have a range of 200 miles. Here are the battery’s specs: 288 cells weighing 960 pounds. Its capacity will be 60 kilowatt-hours. But the cost of that battery is another story. Thanks to continuous improvement, General Motors last year said the new lithium-ion packs now cost it about $145 per kilowatt-hour—about 70 percent cheaper than they did in 2012. Put another away, the battery pack in the 2017 Volt will cost less than 10 percent more than the one in the 2012 Volt. But it will be more than four times more powerful. And here’s the important thing: This isn’t the end state. Critics often look at the 1.0 or 2.0 versions of new technologies and make damning predictions. But that’s not how innovation works—either in the laboratory or in the consumer marketplace. In the rearview mirror, the early versions will always look big, clunky, and nonfunctional. In fact, as we speak, batteries are likely getting cheaper. Tesla believes that the Gig factory it’s building could drive down the cost of lithium-ion battery cells to $100 per kilowatt-hour. General Motors, which isn’t known for making glassy-eyed pronouncements, believes the cost of the lithium-ion cells it uses can fall to that level by 2022. This doesn’t mean we’ll all be driving Teslas or Bolts next year, or even in 2020. But the advances in batteries will be seen in other ways. To a degree, more powerful batteries will become standard—in hybrids, in plug-in hybrids, in all-electric cars. We’re moving toward a world where more and more cars will either run primarily on gasoline but with an assist from powerful batteries or primarily on powerful batteries but with an assist from gasoline. This revolution may not be showing up in the sales figures just yet. But a website like hybridcars.com offers daily updates on the leading edge. The Hyundai Ioniq is being introduced in three options: all-electric, plug-in hybrid, and standard hybrid. Daimler, parent of Mercedes-Benz, is forcing executives to drive plug-ins or hybrids. Honda projects that by 2030, hybrids, plug-in hybrids, and electric vehicles will account for more than 60 percent of its sales. In other words, the defining characteristic of electric vehicles that made them prohibitively expensive may soon be the factor that enables them to compete with conventional vehicles on price. Maybe Chevy should’ve called its next vehicle the Jolt.